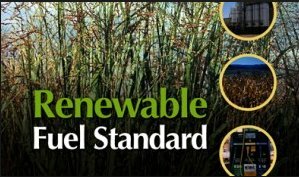 EPA issues final rules on RFS: The U.S. Environmental Protection Agency (EPA) announced final volume requirements under the Renewable Fuel Standard (RFS) program yesterday for the years 2014, 2015 and 2016, and final volume requirements for biomass-based diesel for 2014 to 2017. EPA set out a goal of 18 billion gallons of renewable fuels overall for 2016, an increase from what the agency had suggested in June but far less than the renewable fuel level anticipated by the statute originally issued in 2007; that law had envisioned 22.25 billion gallons by 2016. The rule finalizes higher volumes of renewable fuel than the levels EPA proposed in June. The final 2016 standard for cellulosic biofuel is nearly 200 million gallons, or seven times more, than the market produced in 2014. The final 2016 standard for advanced biofuel is nearly one billion gallons, or 35%, higher than the actual 2014 volumes. The agency said it formulated this policy based on more than 670,000 comments from the public. The ethanol blend in gasoline went up from 16.3 billion gallons in 2015 proposed earlier this year by EPA to 16.93 billion in the finalized rules; and for next year, the volume increased from 17.4 billion gallons to 18.11. These volumes could bring the gasoline ethanol blend over 10% this year and next, which the oil industry says will raise fuel prices and further damage vehicle engines. Overall, the EPA decision didn’t appear to quiet the debate over biofuels from the oil industry or biofuels producers. Faraday launching concept car: Chinese startup electric carmaker Faraday Future will unveil a concept car at the Consumer Electronics Show (CES) this January in Las Vegas. Earlier this month, Faraday released a statement saying it would spend $1 billion on a U.S. factory for this production car; it’s expected to be launched as early as 2017. Faraday has a major Chinese investor, Jia Yueting, who founded Leshi Internet Information & Technology, who has a fortune estimated at $7 billion. Faraday now has about 400 employees, and operates out of a former Nissan research facility in Gardena, Calif., next to Los Angeles. COP21 starts in Paris: Global leaders met in Paris yesterday for the start of the United Nations COP21 climate summit; its ambitious goal is creating an international framework allowing countries to coordinate and gradually strengthen their efforts to fight climate change. It’s been years in the making and the source of much debate over commitments nations will make to reducing climate change and providing financial aid to countries that have suffered damage from it. Nearly 150 global leaders are expected to attend, including Barack Obama, Chinese President Xi Jinping, and Russian President Vladimir Putin. Security will be tight at the conference, a little more than two weeks after terrorist attacks in the city. “What a powerful rebuke to the terrorists it will be when the world stands as one and shows that we will not be deterred from building a better future for our children,” Obama said last week. Tesla Model X pricing: Tesla Motors’ new electric SUV, Model X, will have a wide range of MSRP prior to its $7,500 federal tax credit. It has a starting price of $80,000 before delivery charges all the way to $132,000 for the Model X P90D Signature Edition. That will include the Ludicrous Mode, which means you can go from 0 to 60 in just 3.2 seconds. Deliveries of the Model X will start in early 2016. The Model X is being recognized for going an estimated 257 miles, which is significant for a battery electric vehicle, and for its “falcon” doors. Federal rule on sight-impaired pedestrians delayed: The National Highway Traffic Safety Administration has delayed rules that would require electric and hybrid vehicles to alert sight-impaired pedestrians and bicycle riders about approaching cars. That ruling will be delayed until at least mid-March, and sets back hopes that the rule proposed in 2013 would be worked out by now. NHTSA says that the chance of pedestrians being injured in a crash are nearly 20% higher compared to traditional gasoline-powered vehicles. Hyundai selects AeroVironment: Hyundai Motor America has selected AeroVironment as the preferred provider for charging system installation at its North American dealerships for its all-new 2016 Hyundai Sonata Plug-in Hybrid. Hyundai is the seventh electric vehicle manufacturer to choose AeroVironment as one of its suppliers. Hyundai owners can purchase AeroVironment home chargers and installation when purchasing their vehicles at the Hyundai dealership. AeroVironment-certified, licensed electricians, who are also specially qualified to support EV drivers, perform on-site installation and services. The California Air Resources Board has ordered Audi, Porsche, and Volkswagen to recall and repair “illegal” emissions software in more than 15,000 vehicles with 3.0-liter diesel engines sold in the state since 2009. This came out of Audi’s recent admission that its 3.0-liter diesels sold since the 2009 model year contained three “auxiliary emissions control devices” that regulate emissions performance that weren’t properly disclosed to regulators. In Germany, Volkswagen Group has agreed to recall 2.46 million diesel vehicles fitted with illegal emissions-control software in that nation. Overall, VW has 11 million vehicles globally that may fall under these recalls, with about 8.5 million of them being in Europe. EV charging in China: To meet China’s goals of being the largest electrified vehicle market in the world, the national government has adopted a five-year plan to expand its battery charging network. In 2014, China had 780 charging stations and 31,000 charging poles (individual chargers). By 2020, the government aims to add 12,100 charging stations and 4.8 million charging poles. Beijing will likely get at least 7,400 charging stations and 2.5 million poles; Shangai is likely to join Beijing in getting more of the charging stations. Top Li-ion battery suppliers: LG Chem, Panasonic, and Samsung SDI have taken the top position in a leaderboard created by Navigant Research. The research firm anticipates that most new production hybrid and all plug-in electric vehicles will be shipped with lithium-ion batteries in the next few years. Leading companies in the field are large and financially stable companies, or are subsidiaries of these types of companies. They deliver Li-ion batteries to multiple markets, such as the consumer electronics and emerging stationary grid energy storage markets. The majority (72%) of demand for these batteries is expected to come from battery electric vehicles (BEVs), due to the larger battery packs typical of those vehicle types. Green SUV of the Year: Green Car Journal has announced its five finalists for the 2016 Green SUV of the Year award to be presented at the 2016 Washington Auto Show. Finalists include the BMW X1 xDrive28i, Honda HR-V, Hyundai Tucson, Mazda CX-3, and Toyota RAV4 Hybrid. “After years of focus on building more efficient and environmentally positive sedans and hatchbacks, a growing emphasis is now being placed on SUVs and crossover vehicles, one of the hottest segments in the auto market,” said Ron Cogan, editor and publisher of the Green Car Journal and CarsOfChange.com. The award recognizes this achievement, Cogan said. This entry was posted in electric vehicles and tagged biofuels, Faraday. Bookmark the permalink.